Discover the hidden secrets of Middle-earth on a unique journey into the heart of J.R.R. Tolkien's The Lord Of the Rings. 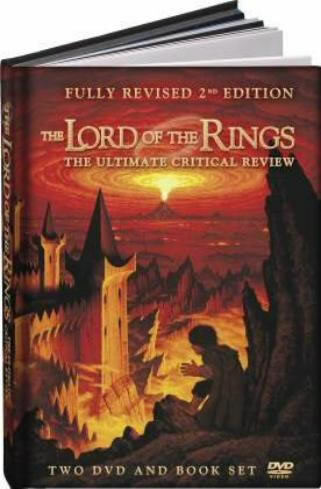 The Lord Of The Rings - The Ultimate Critical Review will be publihed in two days from now. It will include two DVD's and one book featuring remarkable new insights into Tolkien by international authorities, including Emmy award winning screenwriter Bob Carruthers and author Patrick Curry, this powerful film takes you deeper into this great book than ever before. Using the latest advanced mapping techniques and the fantastic art of the Brothers Hildebrandt, this magical and highly entertaining independent DVD and book set plots the journey of the fellowship day by day and reveals the hidden themes and influences which shaped Tolkien's remarkable work. - 3-D mapping helps reveal the patterns behind the journey. Tolkien: his life and work as recalled by those closest to him, including his family and asociates.